LONDON – A British foreign office minister on Tuesday told Sikhs that UK will ask India to drop the death penalty against Davinderpal Singh Bhullar. Hugo Swire — Britain’s minister for India in the foreign office — met Sikh representatives with Lord Indarjit Singh of Wimbledon and discussed the case of Bhullar whose appeal for his death sentence to be commuted was rejected by India’s Supreme Court on April 12. Swire told the delegation that UK was against the death penalty in all circumstances. Swire said UK will monitor the case of Bhullar closely “as we will in all cases where the death penalty has been given as a sentence”. The Bar Human Rights Committee of England and Wales (“BHRC”) writes concerning the recent rejection by the Indian Government of the application for mercy plea by Professor Devinder Pal Singh Bhullar. We urge the Government to stay the execution of Professor Bhullar and commute the sentence of capital punishment. Professor Bhullar was convicted in 1993 of involvement in the bombing of the All Indian Youth Congress in New Delhi, where 9 people died and 36 people were wounded. Having been deported from Germany in 1995 -a decision later controverted- he was tried, convicted and sentenced to death in 2001. The offences were drawn under the now repealed Terrorist and Disruptive Activities (Prevention) Act 1985 (“TADA”). TADA was widely criticised for contravening India’s Constitution and international human rights law. The charges against Professor Bhullar now are widely considered to be unsubstantiated; the evidence relied upon has been fundamentally discredited. Specifically, the conviction was based solely upon his uncorroborated – and later retracted – “confession”. There was compelling evidence that the “confession” had been obtained both without access to a lawyer and following ill treatment amounting to torture. In such circumstances, the confession evidence is unreliable and unsafe. Also, there was a complete failure by the prosecution to corroborate the “confession”. Although one hundred and thirty three witnesses were relied upon by the prosecution, not one of those witnesses actually identified Professor Bhullar. On the contrary, many expressly stated that the man seen at the scene was not Professor Bhullar. Of further substantial concern is a report that the Public Prosecutor, who prosecuted this case during the Supreme Court appeal in 2002, has described the sentence and the subsequent imposition of the death penalty, as a ‘judicial error’. On 12 April 2013, Professor Bhullar’s judicial review of his failed clemency petition to the President of India was dismissed by the Supreme Court of India. Subsequently, Professor Bhullar’s wife petitioned the Supreme Court for a stay in execution. This was rejected. Professor Bhullar now faces imminent execution. The breaches of due process in Professor Bhullar’s case are fundamental and serious and so his continued detention is in breach of the International Covenant on Civil and Political Rights (ICCPR). TADA, under which he was tried, convicted and sentenced, is incompatible with international human rights laws and conventions, particularly Articles 7, 10 and 11 of the Universal Declaration of Human Rights and Articles 14 and 26 of the ICCPR. The trial proceedings themselves were in breach of the right to fair trial safeguards under international law and the few protections under TADA were not applied. Further, it is of considerable note that the Supreme Court was spilt in its findings. Significantly, the Presiding Judge took the decision that Professor Bhullar’s conviction should be quashed on the ground of the unreliability of the “confession”. It is normal procedure in capital cases in India that where there is a dissenting judgment the sentence is commuted to life imprisonment. Such a procedure is just and fair where a court is ruling on whether a person should lose his life. We have no information as to why this did not occur in this case. A pressing factor, which urgently must be realised, is Professor Bhullar’s mental health. It has deteriorated since 1995 and, recently, he was diagnosed by a medical board, constituted by the Delhi government as suffering from mental illness. Other reports have described him as being psychotic, delusional and unable to make sense of his surroundings, suffering from hallucinations and severe depression. Professor Bhullar is entitled to instruct his own appropriately qualified medical expert and we urge the Government to allow this action. Until now, the justice system appears to have failed in adequately considering Professor Bhullar’s mental health. Belatedly, it appears to be recognising its importance. Professor Bhullar’s mental health fundamentally impacts not only upon the lawfulness of upholding the death sentence but also upon his continued detention. Turning to Indian regulations, even the Tihar Jail manual states that a mentally ill person should not be executed. International law is clear that a person with Professor Bhullar’s mental state should not be sentenced to death. 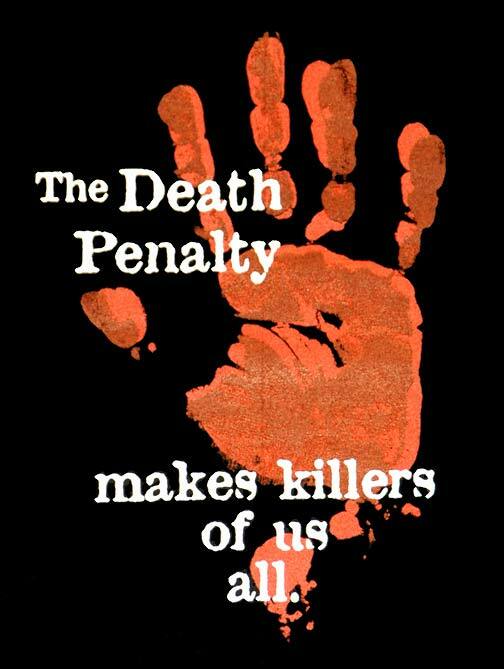 In 2005, the UN Commission on Human Rights urged all states that maintain the death penalty “not to impose the death penalty on a person suffering from any mental or intellectual disabilities or to execute any such person”. The above facts – even in short form – demonstrate that there were serious procedural and evidential flaws in the trial. In any event, irrespective of whether the conviction is unsafe, the execution of an individual who is mentally unwell and incognisant of his own situation is contrary to international law. It amounts to cruel and inhumane treatment. It is unarguable that this case falls into the category of “the rarest of the rare”. Further, humanitarian grounds alone dictate that the death sentence should be, at the very least, commuted. The BHRC urgently requests the President of India, Mr Pranab Mukherjee, the Prime Minister of India, Dr Manmohan Singh, the Indian Home Minister, Sushilkumar Shinde, and the President of the Indian National Congress party, Mrs Sonia Gandhi, to make the necessary representations and subsequent order to stay this execution. We respect that India is a rich source of impressive and just human rights jurisprudence. We hope that this is not simply legal history and urge that the opportunity to continue this legacy is taken in Professor Bhullar’s case.